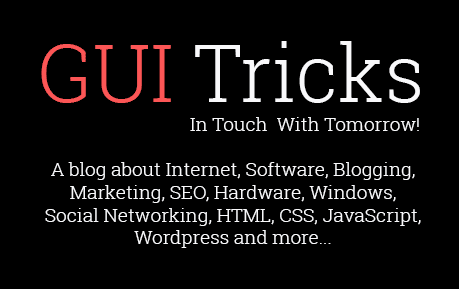 8 Social Media Hacks For Productive Personal Branding | GUI Tricks - In Touch With Tomorrow! 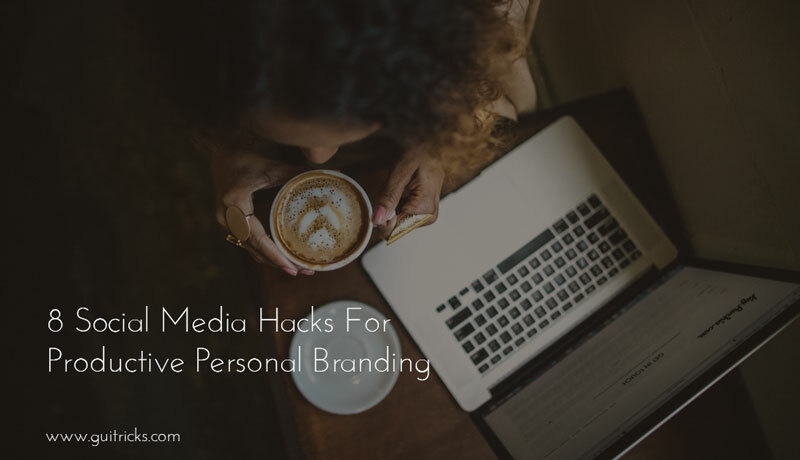 8 Social Media Hacks For Productive Personal Branding - GUI Tricks - In Touch With Tomorrow! In the world where social media has become as essential as electricity itself, we hear a lot about business branding. More than that, the notion of personal branding keeps re-emerging as well. What is it exactly and who may need it? While the necessity of brand awareness for businesses is clear to everyone, the issue of personal branding remains fuzzy for many professionals. To put it simply, personal branding offers a chance to boost your professional opportunities. As the awareness of your skills and credentials becomes more transparent, the flow of generous clients gets steadier and steadier. Think only freelancers can benefit from that? Think again! After all, it is no longer common to have the same job for decades, and it would be unwise to let great career opportunities slip through your fingers simply because you could not establish a recognizable personal brand. Already interested? Read on to find out the best social media hacks for productive personal branding! Sure, we all have a job, but so do millions of people across the globe. In other words, it is not always enough to say ‘a blogger’ or 'a marketer' and hope that potential clients, employers, and peers will easily recognize you. Ideally, you should choose 3-5 areas of expertise and see where they may overlap. At this stage, the areas of expertise do not necessarily have to be current-job-related. Just try to figure out which of these areas you have the most experience in and about which of them you feel most passionate. Social media is all about presenting yourself, which goes along with the definition of personal branding perfectly. Once you have determined your areas of expertise, it is time to work on a catchy headline. For example, instead of writing a stiff ‘travel blogger’, you could go with something like this: ‘out-of-the-box thinker, travel enthusiast, and cultural writer'. Sounds pretentious? Maybe, but one thing is for sure — it works. Consistency is the key to success in every sphere of life and building a personal brand is not an exception. 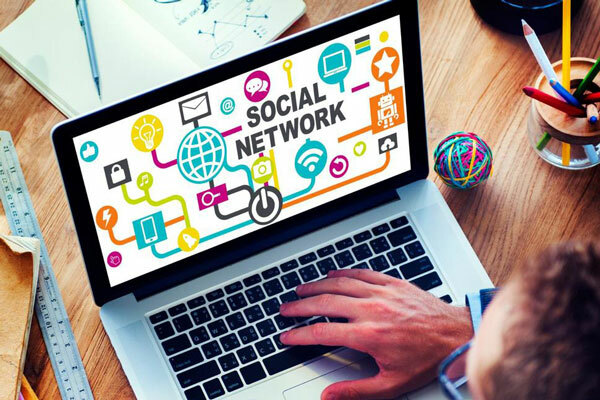 Just like all major companies have a fixed association with a particular logo and color scheme, so should your personal brand remain consistent throughout all your social media accounts. If you feel that the approach is too boring, you can play a bit with your background photos, but make sure your color settings and filters remain unchanged. And, preferably, stick to the same profile picture on all of the social networks you use. At the same time, you should not forget that each platform is unique and, thus, requires an individual approach. This statement concerns not only the length of your posts, which on Twitter is limited to 140 characters and is virtually unlimited on Facebook. It also has to do with the average user behind each platform. Twitter, for example, is perfect for informational or inspirational messages reflecting your personality. The main motto for the Twitter is ‘on the go', so keep it simple. On Facebook, people are looking for something straightforward and entertaining and most of them are ready to spare some of their time, so you can write lengthy posts but be sure to grab the reader’s attention, otherwise your posts won’t get noticed. A separate point that requires extra attention. A lot of social media novices still confuse promotional tactics for Facebook and LinkedIn. Sure, it seems obvious that FB calls for something more entertaining and LinkedIn for something more useful and informative, but how do you actually promote the posts, even if you have made them right? In a nutshell, the key to success on LinkedIn is to take things really slow. Instead of joining interest-related groups and spamming them with your content right from the start, hang out in each community a little bit more. Start with commenting of other people’s content, reply to their questions, offer your help/advice, etc. This way, you will become recognizable in each community, and only then you can start promoting your content more actively. Otherwise, group members will simply see you as a spammer. Sounds tough when promoting yourself, doesn’t it? Still, this is a good piece of advice you should sleep on. Ideally, you should keep all of your career-related accounts under one and the same name, but you can create a strictly personal page under a nickname. This approach can be especially useful for Facebook. Here goes, the holy cow of making yourself visible on the Internet. You DO have to post regularly. Just like a blog will never earn a following unless new engaging content appears on a regular basis, your personal brand will not become traceable unless you constantly remind your peers about yourself. Note that the post frequency is different for every platform. On Twitter, for example, five posts a day seem to be the optimal choice. Two times a day works best for Facebook. On LinkedIn, once a day is enough. For Instagram, you can post once in two days. Pinterest, which is growing pretty quickly, requires 5 pins a day, according to the latest social media research on the subject. The good news is that you do not have to use all of these networks; choose 2-3 and make the best of them. Finally, keep an eye on your social media and quickly respond to any mentions of your name. The easiest way would be to install official apps on your mobile and enable push notifications for every new mention you get. This will boost your online presence and give you a chance to connect with the new peers and clients. All in all, raising your personal brand awareness is not a brain surgery. Still, you have to do it consistently. For example, if you make a commitment to regular posting, stick to it. Fortunately, there are plenty of social media tools that help you write posts in advance and submit them automatically. The rest, however, is on you. So, good luck with building your own personal brand! Richard Nolan is a writer and a private tutor, sharing his experience in spheres of writing, blogging and psychology. Richard writes for numerous blogs and gives useful tips for bloggers and students.